More than 32 graduates of the University of Pennsylvania Law School currently practice at Sullivan & Cromwell. Their backgrounds, practice areas and interests are diverse—they attended over 23 different undergraduate schools, work in nearly all of our practice areas, are resident in our U.S. and international offices and speak 12 different languages. Several S&C lawyers who are alumni of Penn Law have clerked, including at the federal courts of appeals and the U.S. Supreme Court. As alumni of the first national law school in the country to require pro bono service, Penn Law graduates will find an equally strong commitment to pro bono work at Sullivan & Cromwell. In 2016, the Firm devoted more than 58,000 hours to a range of pro bono activities. Senior Chairman Rodge Cohen and partner Garrard Beeney (Penn ’79) were part of the team that submitted an amicus brief in support of respondent Edith Windsor in United States v. Windsor, in which the U.S. Supreme Court held that Section 3 of the Defense of Marriage Act violated the Equal Protection clause of the Fifth Amendment. Additional recent matters on which Penn Law alumni have worked include winning an appeal in the Sixth Circuit on behalf of a habeas petitioner; winning the right of members of the LGBT community to adopt children in Arkansas; winning an appeal in the Eleventh Circuit affirming the stay of a client’s execution date; and reaching a favorable settlement on behalf of a pro bono client before the New York City Housing Court. S&C Penn alumni are also involved in coaching a Midwood High School Moot Court team, most recently to the New York City semifinals. In addition to becoming partners at S&C, Penn Law alumni who join the Firm after law school go on to pursue a range of prestigious opportunities. 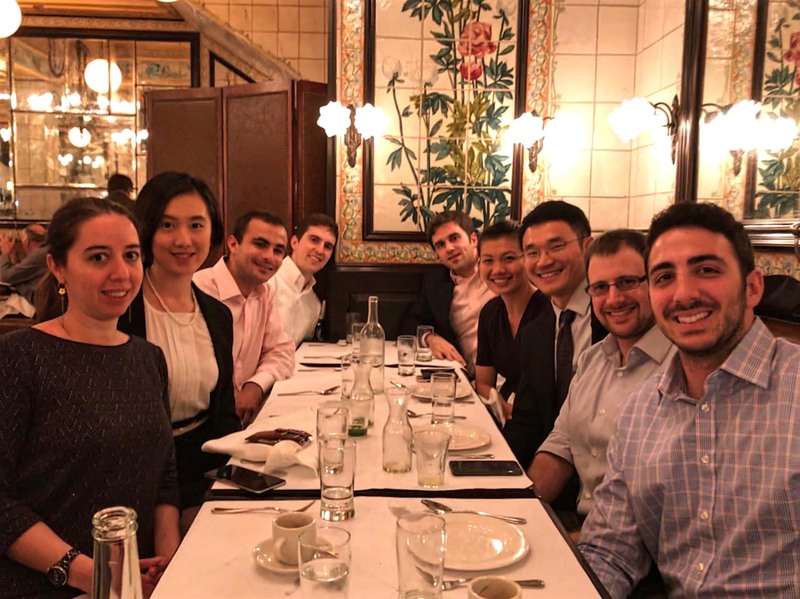 S&C alumni who attended Penn Law currently work in finance, government, academia, private practice and as counsel to Fortune 500 companies and financial institutions. Today, S&C continues to partner with Penn Law both in and out of the classroom. The Firm was a recent corporate sponsor of Penn’s JD/MBA Association, and partner Mark Menting (Penn ’83) serves on the group’s Advisory Board. Rick Pepperman (Penn ’90), Managing Partner of the Firm’s Litigation Group, joined the Penn Board of Overseers in 2012. Joe Frumkin (Penn ’85), Managing Partner of our Mergers & Acquisitions Group, is a current member of the Penn Law Board of Overseers and co-chair of Penn’s Institute for Law and Economics. Joe has taught a course at the law school on mergers and acquisitions for the past nine years. In past five years, S&C has hired 24 Penn students as summer associates. You can learn more about Penn Law alumni at S&C and our presence at the law school on these pages. We hope to see you on campus. Hosted by five S&C Penn alum at Augustine. Sullivan & Cromwell participates in Penn Law’s On-Campus Interview Program. We will be on campus on Friday, August 3, 2018. In addition, S&C participates in both of Penn’s Regional Interview Programs in California. We will host interviews in our Palo Alto office on Tuesday, July 24, 2018, and in our Los Angeles office on Friday, July 27, 2018. We look forward to meeting you on campus or in California.